On March 13, 2019, Jiří Kylián, the world-renowned choreographer, was inducted in Académie des Beaux-Arts in La Coupole of the French Institute in Paris in the present of outstanding figures from all around the world. Due to the exceptional importance of his work, the Academy designed a new category – choreography. The French Academy is a prestigious institution inseparable from Académie des Beaux-Arts, i.e. Academy of Fine Arts, established in 1816. Becoming the member of the Academy virtually means “immortality”. The acceptance of a foreigner to be a member, membre associé étranger, is a unique occasion, it applies only to several international figures of performing and fine arts. One of them was the musician of Czech origin Antonín Rejcha (Antoin Reicha, 1770 – 1836) in 1835. The native of Prague was the director of the Conservatory in Paris and taught outstanding figures, such as Hector Berlioz, Franz Liszt, César Franck or Charles Gounod. The second Czech who was honored by the French Academy in 1896 was Václav Brožík, the art historian and painter, member of the “National Theatre Generation” and Professor at the Imperial Academy in Prague, yet he also worked in Paris and died there in 1901. On April 25, 2018 the Academy of Fine Arts inducted the third Czech in history. The proposal for the membership of Jiří Kylián was approved by the French Minister for Europe and International Relations. 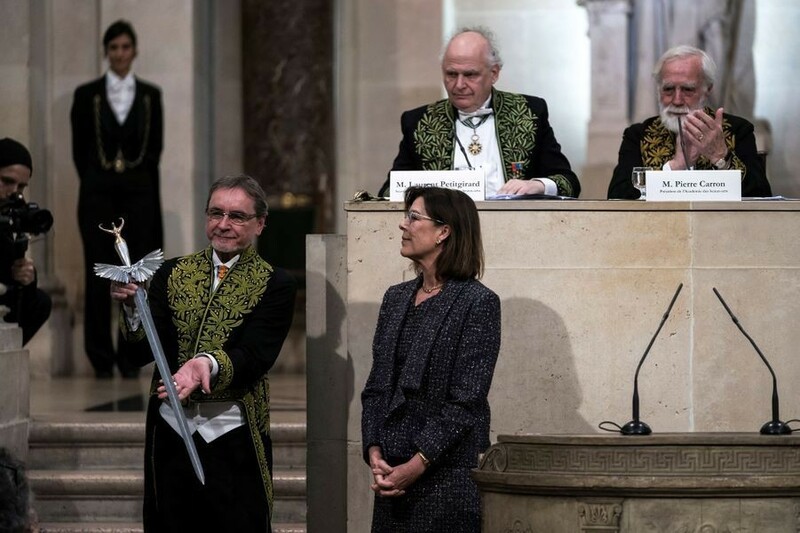 His inauguration took place on Wednesday, March 13, 2019 in Paris. Jiří Kylián graduated from the Dance Conservatory in Prague. The scholarship at the Royal Ballet School in London provided the meeting with the choreographer John Cranko, who offered him work in Stuttgart Ballet. In 1975 he accepted the offer for the artistic co-management of Nederlands Dans Theater in Haag. In 1978, after the ballet Sinfonietta succeeded extraordinarily, he was appointed the artistic director of the NDT. The Psalm Symphony, the second production in his period, resulted into international fame for the company. Jiří Kylián left the post of the NDT artistic director in 1999, but he remained the residential choreographer.